Everyone has had a pet that has a favorite toy, there’s dogs that have favorite balls, or favorite teddies. 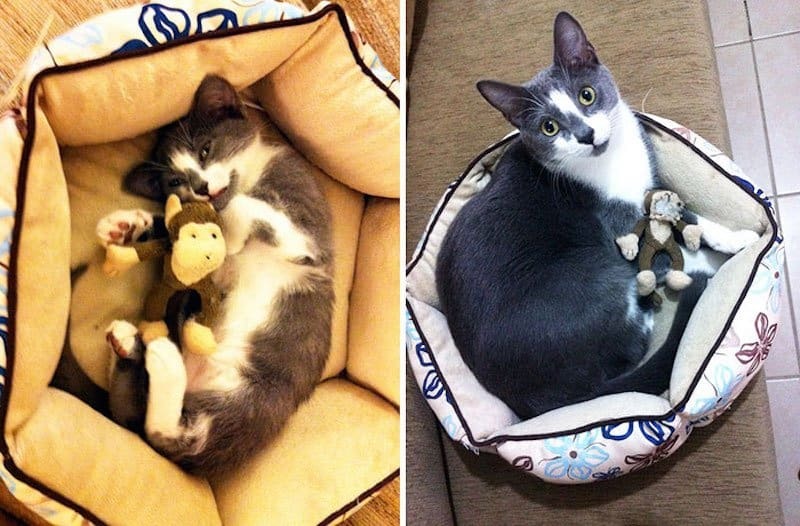 Like dogs, kittens may have their favorite teddies, or maybe even some string or a box. Some of these pets get their toys when they are very young, others when they are older. Regardless of their age, they still love their toys that their owners have given them. Here’s a list we’ve put together of 20 kittens and puppies, all grown up, who still love their favorite toys. Having a crocodile battle can be some nasty stuff, however for kittens, apparently it’s pretty easy to win. 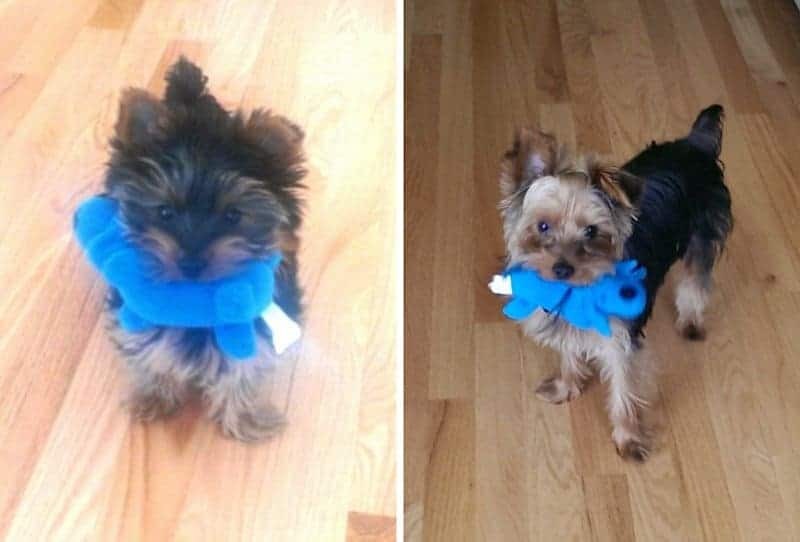 It’s easy to see that this puppy has had his toy for quite some time now. If you look close enough, the hands and feet of the toy have been ripped open. 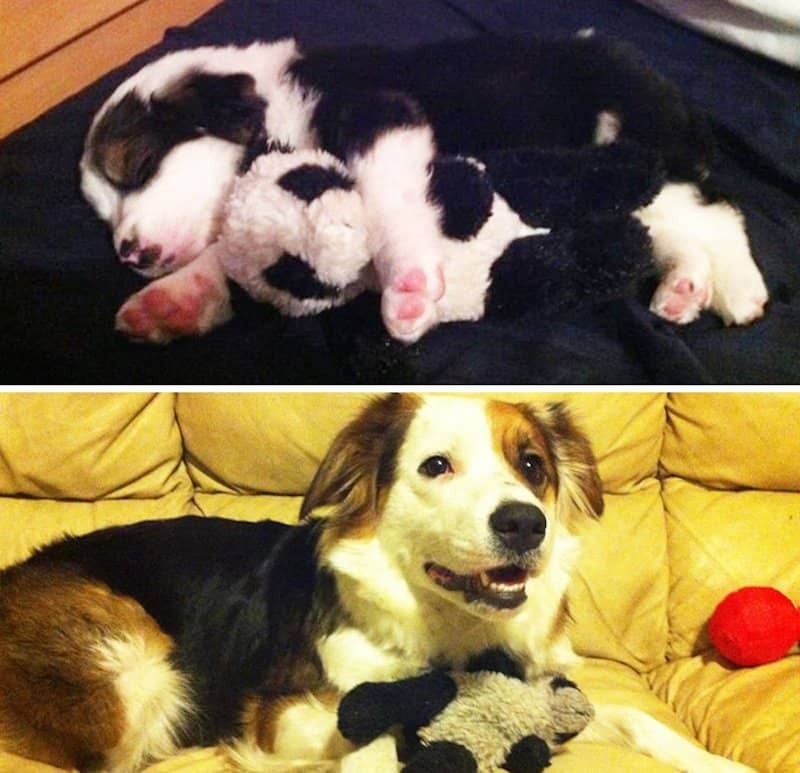 It’s adorable how he’s kept the same toy throughout the years. When you first look at this image, it’s hard to distinguish which is the toy panda and which is the puppy. Regardless, it’s an extremely cute picture. 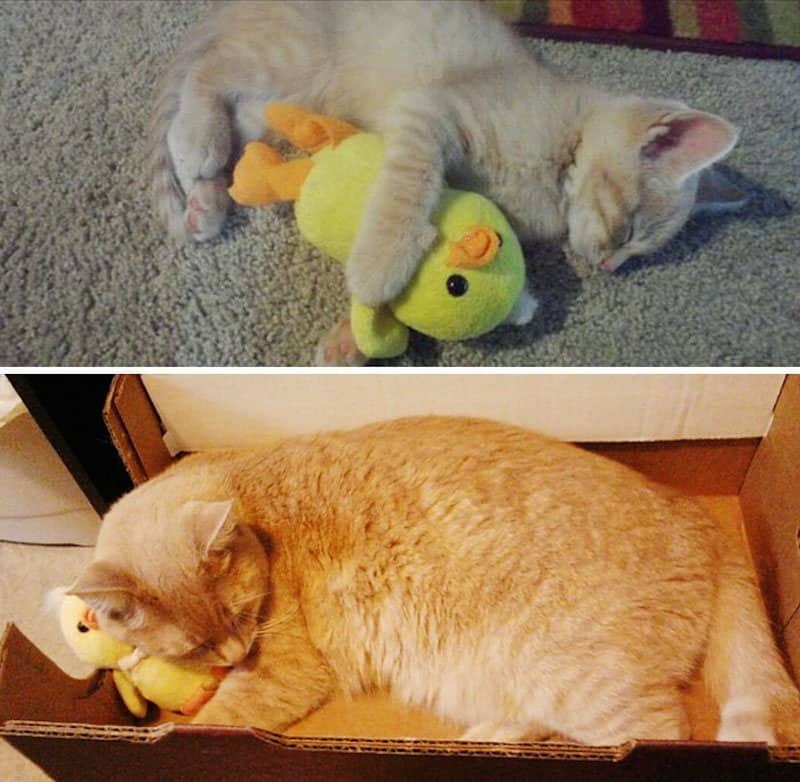 This kitten hugging his little duck is extremely adorable, especially since he’s kept his and still hugs it while he naps. 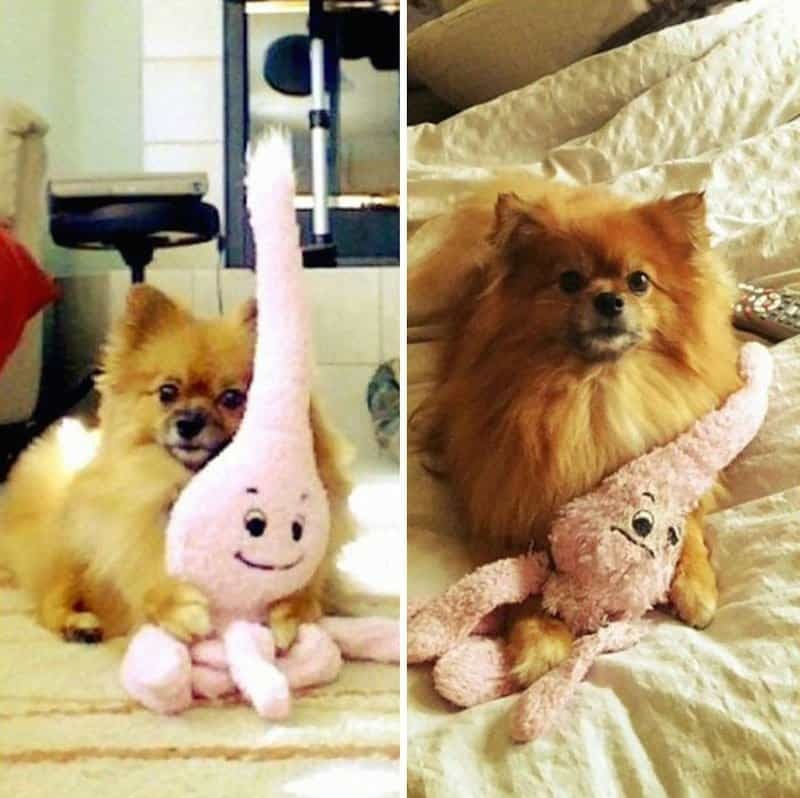 While we’re not sure what this teddy is meant to be, it’s extremely cute that he still carries it around just like when he was a puppy. A massive polar bear teddy for a puppy is a great idea, until you lose said puppy because of its camouflage. 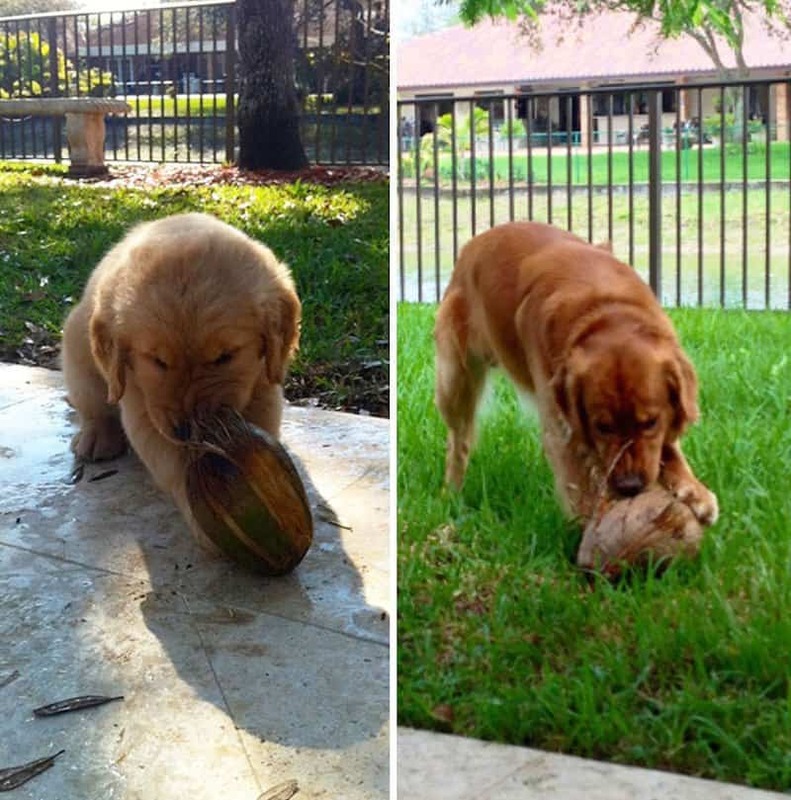 While coconuts are extremely hard to break open, it appears as if this puppy has been trying for a while. We love the persistence. Cat’s love to hide inside of things, such as this plastic wrapper. Let’s just hope she doesn’t outgrow her life-long toy. 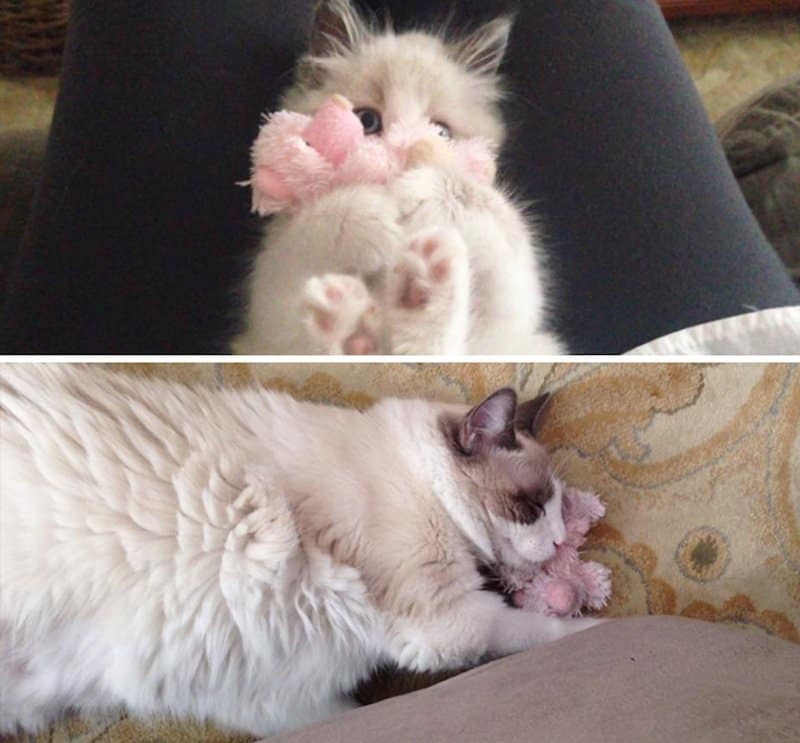 Maybe this kitten only hugs his little pink pig when his owner takes a picture of him, either way the cat looks too big now. Is it just us or does the bottom image look like The Grumpy Cat smiling? Did He Like It When He Was Younger? 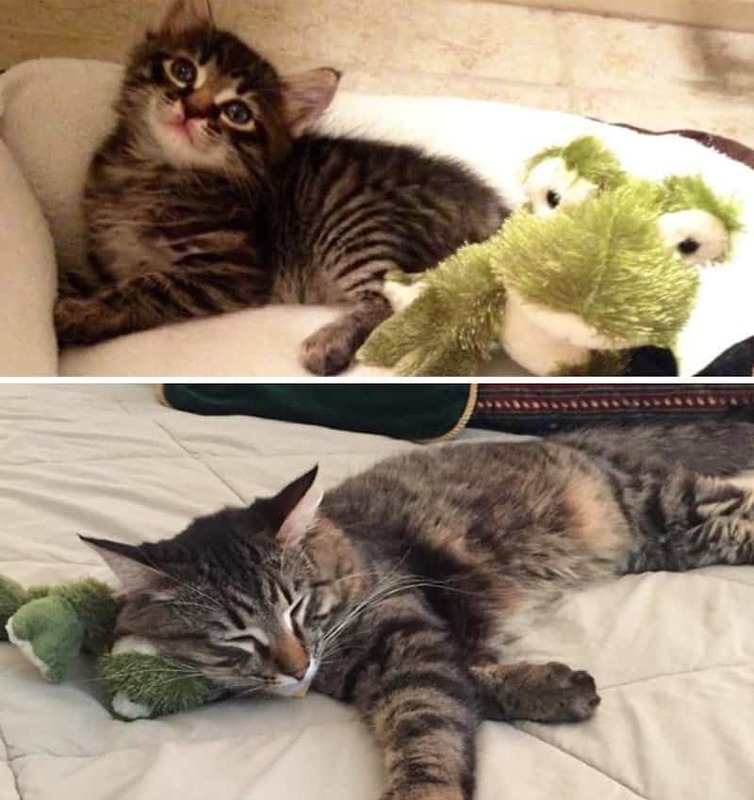 This kitten has gone from keeping its distance to sleeping with his toy frog. It looks like he’s outgrown his bed, too. 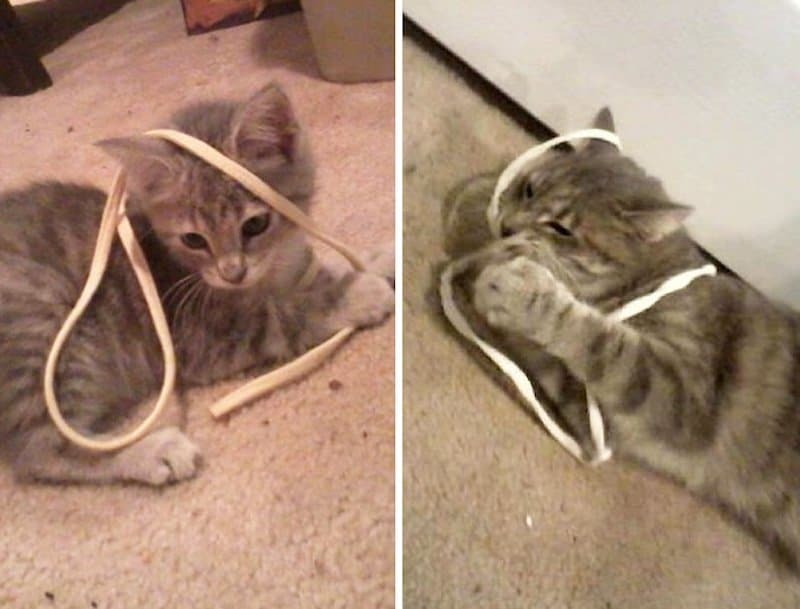 All kittens love string, but this one seems to love it the most. While he doesn’t look too amused when he was younger, he’s loving it now. 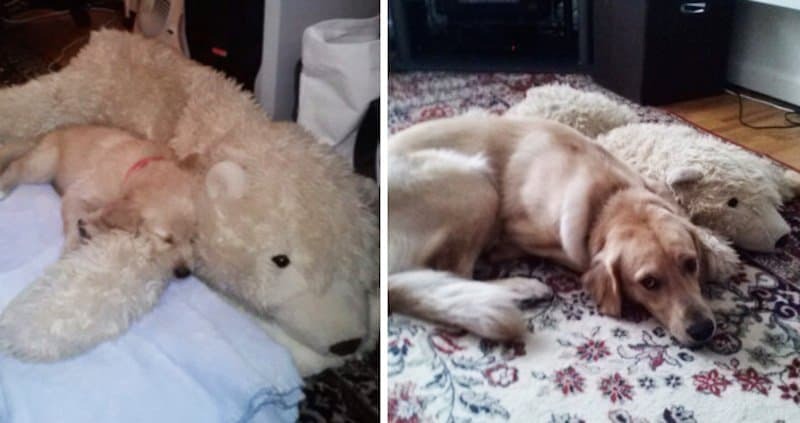 While it appears as if the puppy got a new teddy when he was older, the fact that he still sleeps with it is extremely adorable. 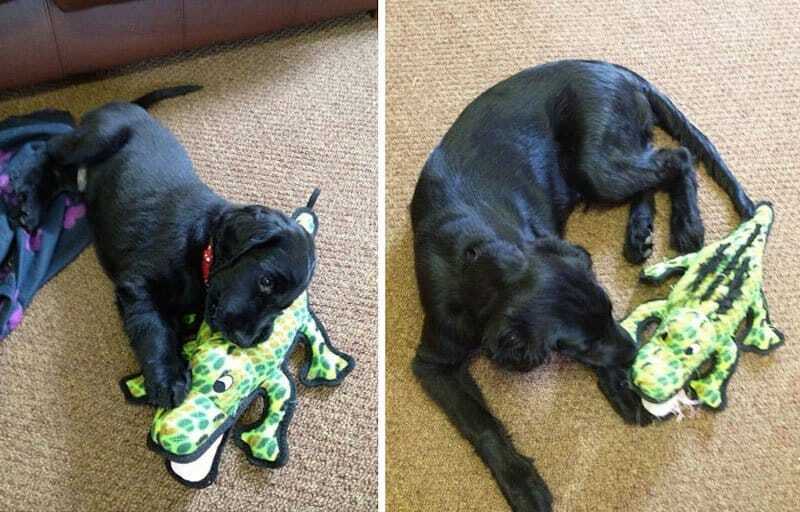 All puppies have their favourite toys, but then there’s this puppy, his favourite thing is a pillow. It looks like he uses it as a toy as well, with the mouth of the crocodile all torn up. 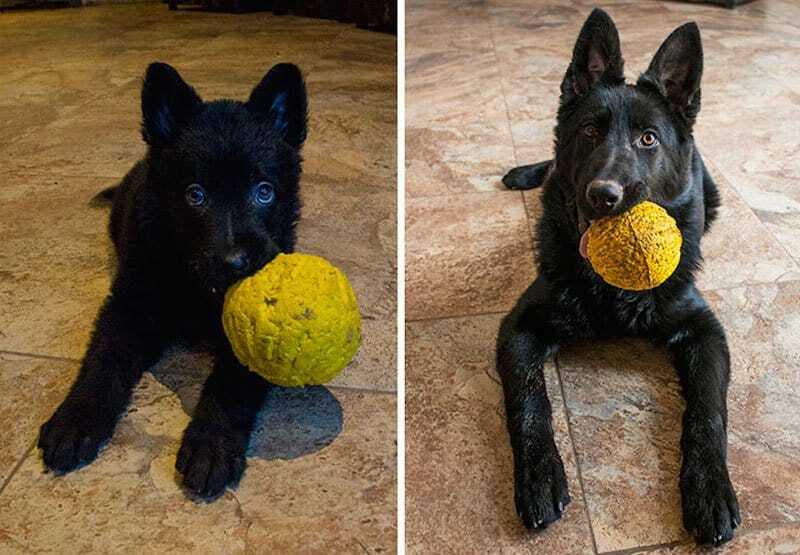 This dogs ball is larger than his head when he was a puppy, but it looks as if he’s ripped off all of the fuzz. Nevertheless, he still loves it. This toy looks a little scary, but at least the puppy likes it. 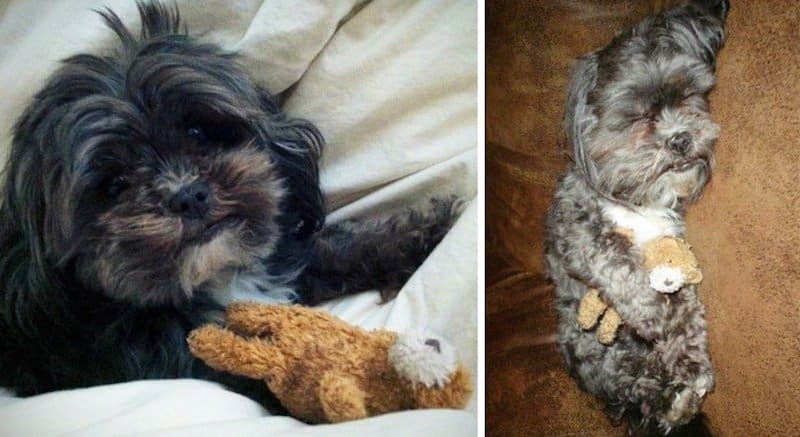 It’s so old, and we’re pretty sure that he’s over being a pet toy, look at the sadness on his little toy face. 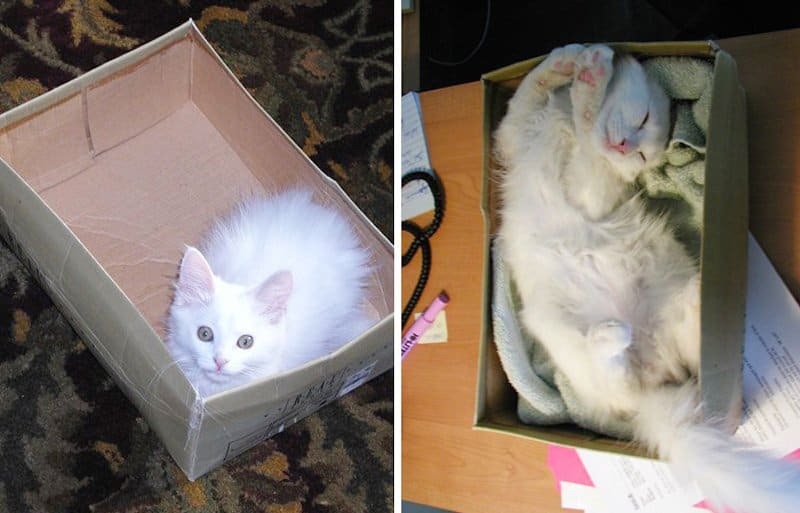 Cats love to hide and play in boxes, and it appears as if this kitten has grew up with his shoe box. While the cat seems to be getting too big for the box, the way he’s laying is extremely cute. This kitten looks very protective of his toy. It looks like someone tried to take it away from him and he’s gotten angry and pulled it back to himself, and held it so tightly that no one else can get it. This adorable puppy reminds us of Simba. 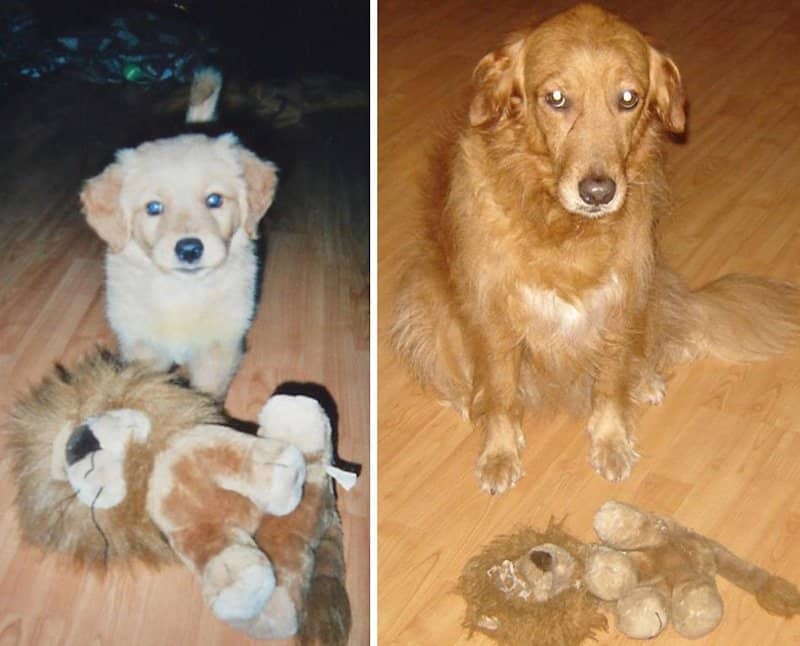 He has grown up with his favorite toy lion, but unfortunately pulled out all of his stuffing. It looks as if this kitten loved his teddy so much, that he decided to rip the face off of it. Maybe it’s time for a new one? 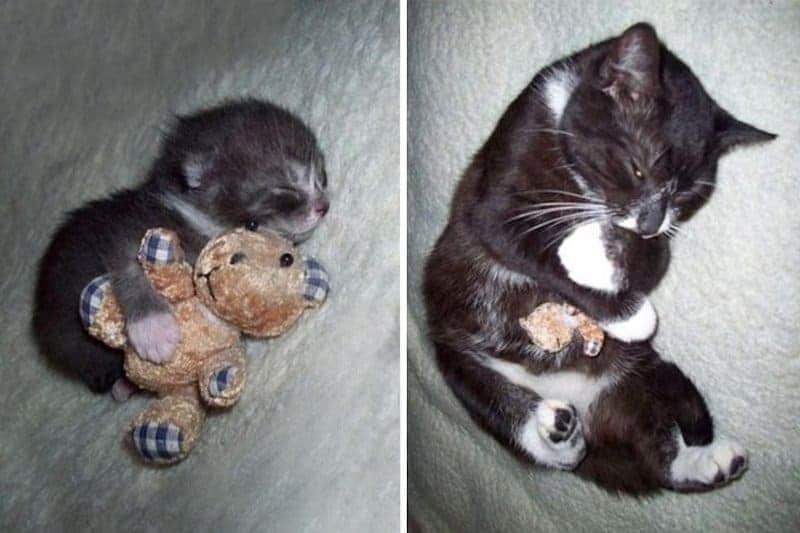 This kitten was so small — the same size as his teddy. 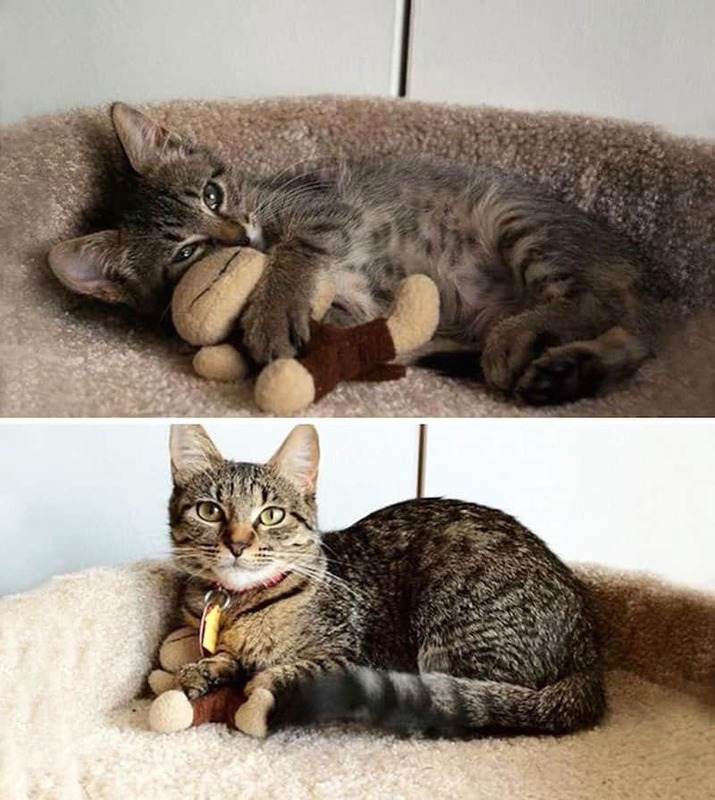 While he’s all grown up now, it seems as if he’s not going to let the teddy go.